It's time for another challenge - actually two different ones. The first is The Cutting Edge Challenge #10. Today I was inspired by the fall colors (with just a little bit of blue) in the inspiration photo. 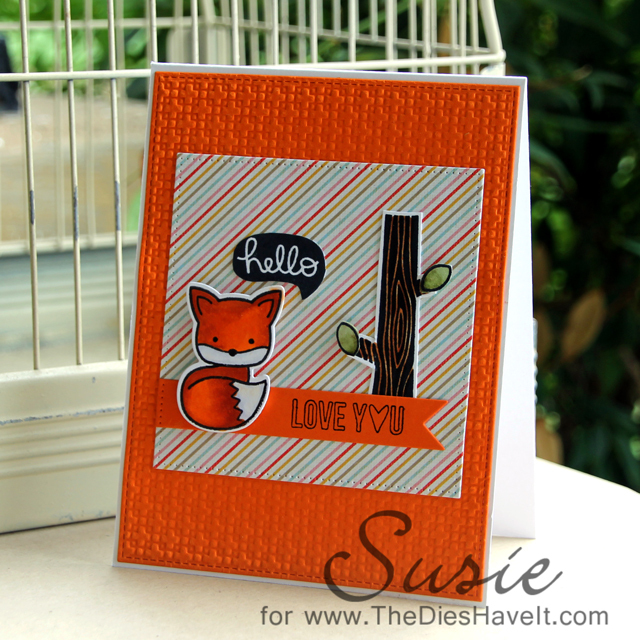 The second challenge I am entering today is from the Moxie Fab World's Those Foxy Foxes Challenge. There are so many foxes in the card making world these days and I didn't want to be left out...so I created a little fox card myself. I hope you have a great day and I'll see you right back here tomorrow. What a cute card, Susie:)!! Your fox is so sweet and colored wonderfully! So happy you joined us at The Cutting Edge...thanks for being a part of this week's challenge:)! !